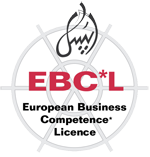 The main objective of EBC*L is to assist everyone in acquiring fundamental business knowledge for better career and job chances, as well as encouraging at least some of the jobseekers to start up their own entrepreneurship, thus contributing to the development of a local small and medium-sized enterprise (SME) network. Creating jobs in public sector on the short- and long-term requires governments to establish adequate circumstances for its citizens to form their own enterprises. To establish a well-functioning SME environment, one the one hand, a need for governmental subsidies and grants for entrepreneurs, and on the other hand, they also need fundamental business and economics related knowledge of how to run their own company. The backbone of a knowledge-based society with a healthy economic system has to promote a new modern way of career development, job finding and encouraging entrepreneurship, in particular among youth.